How Much of the World Are We Missing? Just at the edge of darkness, where the light of our fire does not penetrate, an elephant thunders by, trumpeting the whole way, like a locomotive off track in a dry forest, a classic illustration of the Doppler Effect, sound that condenses, rises in pitch, crescendos, blows by, drops pitch, recedes. We lift our heads in surprise. Waves of sound undulate away from us, kin to ripples on a pond. We use pulsed sound waves, Doppler Radar, to see rain, to know when we should run for cover. There is no such radar for an incoming elephant. Eventually his outrage is extinguished in our ears, but elephants a mile away are just beginning to hear it. Resonance fills the night air around us, yet we are deaf to it, to the sounds just below our range of hearing. Again you paint pictures, and I hear the sound too! We miss most of the world around us as most of us never take time to stop and smell the roses. I try to bring that world to life in my blog! Good work and enjoyable blog Cheryl! Wise. Thank you. The more listen the more we learn… sitting at the edges of darkness, sitting at the edges of light. Thank you,Jude. I just love that elephant eye pic! Thank you, Gill. You are such a good friend. 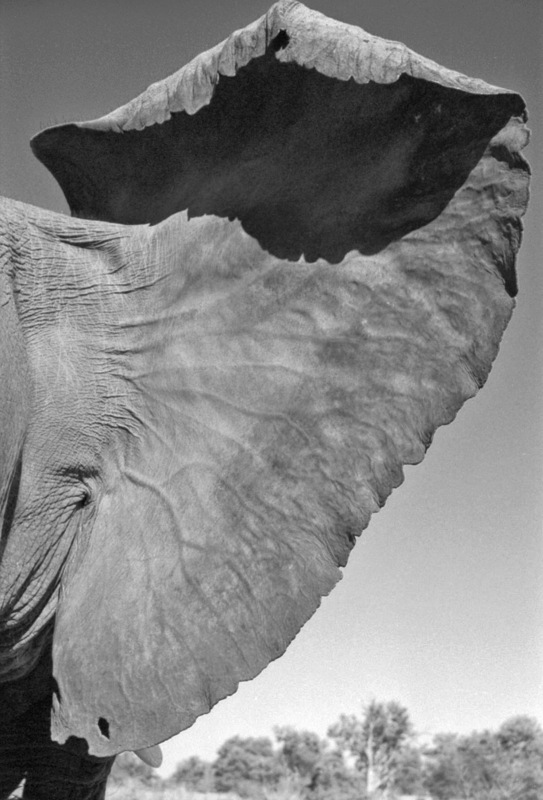 Your writing had me feeling the experience of the elephant passing while trumpeting his song. Your “message” is also powerful! …an addendum to “Sing Like Yma Sumac.” Love the vivid depictions of ripples in water and suggestion that we should/could listen more fully. Thanks Charlie – how are you doing? we DO need to listen more, and more carefully.